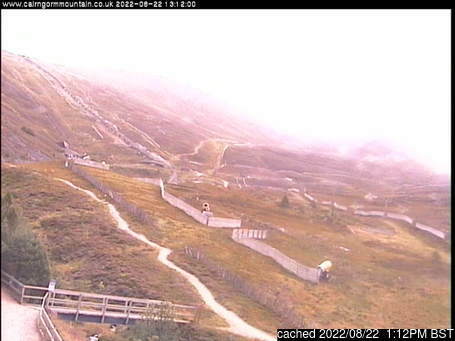 Is it snowing in Cairngorm ?Thank you! Issued: 12 pm 23 Apr 2019 (local time). The snow forecast for Cairngorm is: Moderate rain (total 11.0mm), heaviest on Thu afternoon. Very mild (max 11°C on Tue morning, min 3°C on Thu afternoon). Winds decreasing (near gales from the ESE on Tue night, moderate winds from the S by Wed night). Cairngorm Weather (Next 3 days): The snow forecast for Cairngorm is: Moderate rain (total 11.0mm), heaviest on Thu afternoon. Very mild (max 11°C on Tue morning, min 3°C on Thu afternoon). Winds decreasing (near gales from the ESE on Tue night, moderate winds from the S by Wed night). Cairngorm Weather (Days 4-6): Heavy rain (total 20.0mm), mainly falling Fri afternoon. Becoming colder with a light covering of snow, mostly falling on Fri night. Freeze-thaw conditions (max 7°C on Sun morning, min 0°C on Fri night). Winds increasing (light winds from the NNE on Fri night, strong winds from the SSW by Sun morning). Heavy rain (total 20.0mm), mainly falling Fri afternoon. Becoming colder with a light covering of snow, mostly falling on Fri night. Freeze-thaw conditions (max 7°C on Sun morning, min 0°C on Fri night). Winds increasing (light winds from the NNE on Fri night, strong winds from the SSW by Sun morning). Moderate rain (total 11.0mm), heaviest on Thu afternoon. Very mild (max 11°C on Tue morning, min 3°C on Thu afternoon). Winds decreasing (near gales from the ESE on Tue night, moderate winds from the S by Wed night). The above table gives the weather forecast for Cairngorm at the specific elevation of 823 m. Our sophisticated weather models allow us to provide snow forecasts for the top, middle and bottom ski stations of Cairngorm. To access the weather forecasts for the other elevations, use the tab navigation above the table. For a wider view of the weather, check out the Weather Map of United Kingdom. 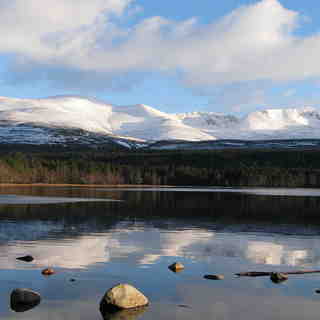 in or near Loch Morlich? Just had a great day skiing on the Thursday of the week after Easter with very small queues, perfect snow on most runs above the mid station and mostly sunny weather. My only criticism is that the short beginners Poma was running a bit fast for an unmanned beginners lift. My daughter got clouted hard before I could get in a position to fend off the buttons. The Cairngorm skiing weather widget below is available to embed on external websites free of charge. It provides a daily summary of our Cairngorm snow forecast and current weather conditions. Simply go to the feed configuration page and follow the 3 simple steps to grab the custom html code snippet and paste it into your own site. You can choose the snow forecast elevation (summit, mid-mountain or bottom lift) and metric/imperial units for the snow forecast feed to suit your own website…. Click here to get the code.